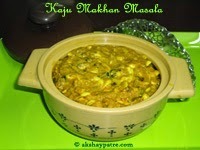 Kaju Makhan Masala - Kaju makhan masala is a rich creamy textured side dish to relish with Indian flat breads. 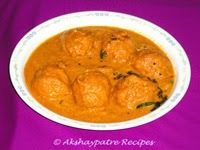 The gravy is made using cashews, onions, tomatoes, butter and fresh cream. The flavour and extra taste is induced with spice powder. 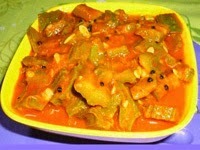 This is a popular sabzi of Punjab usually served in all restaurant. 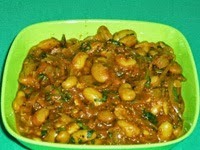 Hariyali Chole Masala - Delicious hariyali chole masala goes well with parathas, theplas, phulka, roti, pulao or even rice. 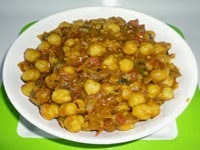 Chickpea is a staple legume and variety of dishes can be made in combination with potato, cauliflower, tomato, spinach, carrot and baby corn. 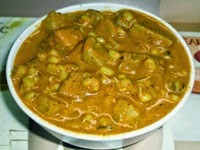 The use of coconut adds creamy texture to the hariyali chole masala. 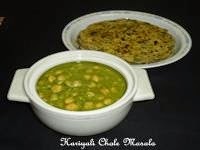 The gravy is green in colour because of the use of spinach, hence it is called hariyali that means green in colour. 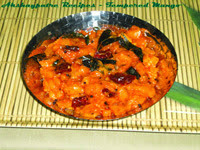 Paneer Masala with Cashew nuts - Paneer is widely used ingredient in Indian cooking. Party and wedding meals are incomplete without paneer based sabzis. 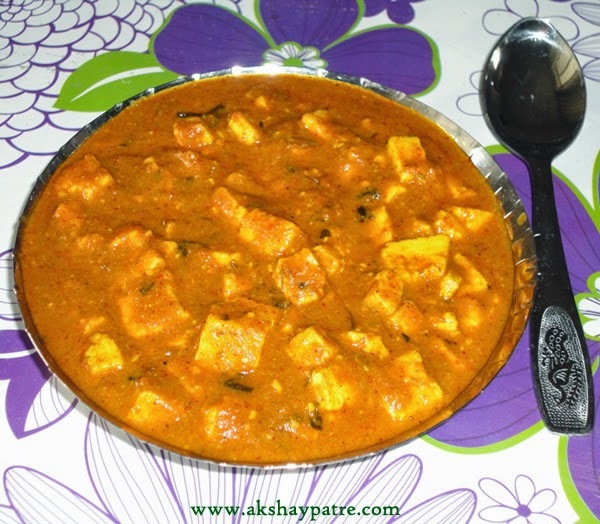 Paneer is an easily available ingredient in diary product shop. But it can also be made very easily at home. Nothing can beat fresh home made paneer. 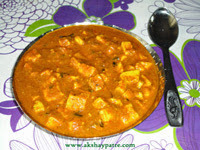 This paneer masala is prepared using cashew nuts, milk, onion and tomato. 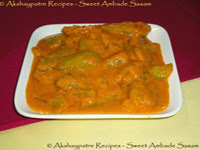 The creamy textured rich gravy goes great with all variety of Indian flat bread. 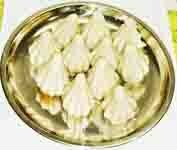 Sihi Amtekayi Sasam - Hog plum is known as sihi amtekayi in kannada and god ambade in konkani language. This is a seasonal vegetable of Coastal Karnataka. 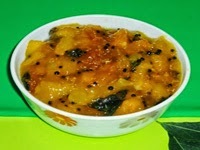 Sasam and gojju or chutney prepared with hog plum is very popular in that region. 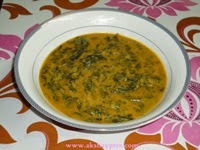 The gravy for sasam is made with coconut, coriander seeds, mustard seeds, chilli powder and jaggery. The plum hog has an inviting unique flavour and is slightly tangy in taste. 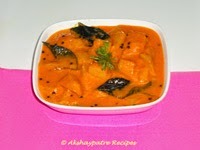 Tempered Mango - So simple side dish yet full of flavour. This dish can be prepared in a jiffy. Make a tempering with dry red chillies, curry leaves, add chopped ripe mangoes, red chilli powder and add a spoonful of lemon juice. Add sugar if required. Use lemon if the mangoes are too sweet, otherwise skip this step. 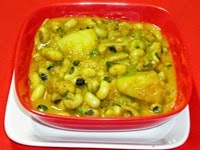 This dish has sweet, sour and spicy taste. 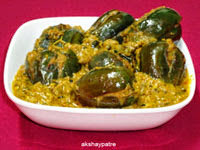 Stuffed Brinjal - Bharli Vangi - Stuffed brinjal is called as bharli vangi in Maharashtra and tumbida badnekayi, ennegai in Karnataka. The stuffing is made with basic ingredients such as coconut, groundnut powder, kala masala and some other spice powder. 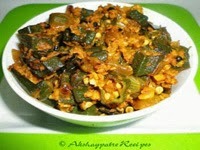 This sabzi tastes great with jawari roti, bajre ki roti and chapathi.